Purple Colour Sharara Salwar Suit. Fashion and pattern could be at the peak of your magnificence once you dresses this Purple Colour Georgette Fabric Semi Stiched Salwar Kameez. The lovely Zari,Embroidered,Stone work a substantial attribute of this attire. You're reviewing: Purple Colour Sharara Salwar Suit. 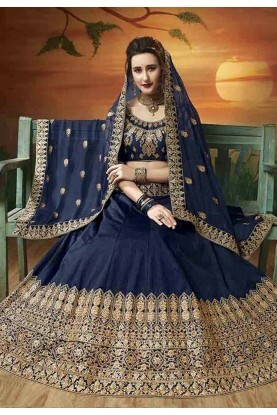 Blue Color Indian Designer Lehenga Choli. Purple Colour Designer Lehenga Choli.